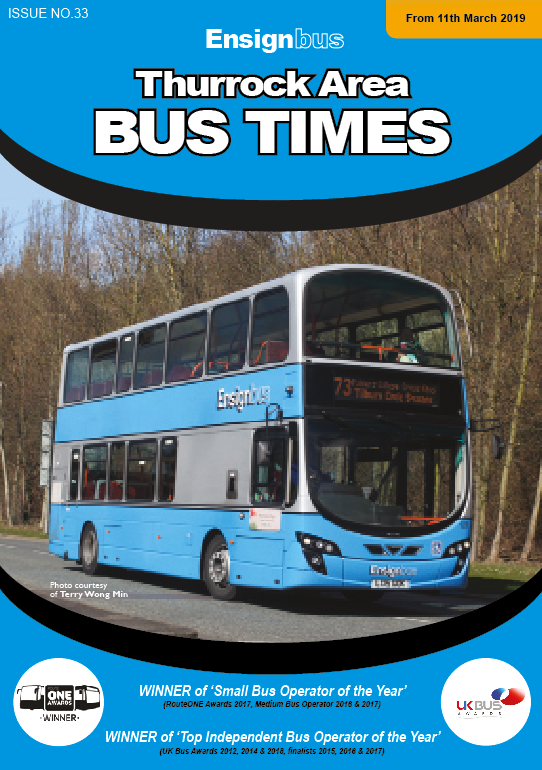 Service updates to your buses from 11th March 2019.
network of local bus services in and around Thurrock, Essex. In this section you can find PDFs of most of our leaflets and maps. Find all the information you need about using our bus services. Here you can find all the information you need about our types of tickets and bus passes accepted. Are you a student aged 16-19 on a full-time course at Palmer's College, South Essex College or Hassenbrook Academy? For general enquiries, bus hire, lost property.